→Is Forever Living a Pyramid Scheme Or the Best Business Opportunity Out There? Is Forever Living a Pyramid Scheme Or the Best Business Opportunity Out There? There are so many different programs that use multi-level marketing. The company Forever Living is no different. A lot of people are wondering whether or not this company is a scam or if you can actually make a substantial income. This article will show you everything you need to know! Overall Rank: 45 Out of 100. Forever Living is an honest MLM-program. They have own benefits but products are a bit overpriced and the system isn’t perfect. You would probably love to see My #1 Recommendation with an overall ranking 98 Out of 100. I have used that system myself already for more than 2 years and it’s bringing me bigger and bigger income every month. Forever Living was established in Scottsdale, Arizona in 1978 by Rex Maughan. This company is one of the world’s largest producers of aloe vera products and they are able to control cost and quality through the entire process because they own their own aloe plantations and warehouses. They don’t outsource. While a lot of other multi-level marketing companies usually only target women, this company offers products for everyone! Some years ago the company reported having over 4,000 employees and 9.3 million distributors. They also had a revenue of $1.7 billion. With numbers like that, they must be doing something right! 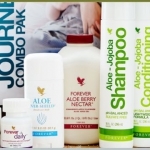 Forever Living offers many aloe products for everything from health to beauty. Not only can you buy aloe products but you can buy products that are made by bees, products that will help charities, and accessories. There are so many different products that Forever Living offers. They naturally say that every single product that Forever Living product is rigorously tested. Not only does the company screen the materials before production begins but they also test all the products during production and a third and final time once the product is done. Another great thing about these products is that none of them are tested on animals. They also have received the Islamic Seal of Approval, Kosher Rating, and they are certified by the International Aloe Science Council. You should remember that talking about their high quality is a part of their marketing speech. Every single MLM-company loves to explain how their products are tested in the best laboratories of the world by leading scientists of the Universe. While all this is good for the products, one thing you have to realize is that the prices are much higher than a similar product you can buy at the store. For example, a 3.25oz stick of deodorant is $6.63 and a 12oz bottle of shampoo is $19.20. That’s around 3-4 times higher price what I usually pay in the supermarket. Like most multi-level marketing products, they are so expensive because there are so many people who will get paid. While the prices are higher than a product from a store, you could still order a sample to try it out if you want. Think about Herbalife, Mary Kay, Amway and hundreds of other MLMs. All of them naturally say that their products are the best in the world. Many people don’t recognize any difference between supermarket and Forever Living products. I mean the only significant difference is the price. Forever Living has added aloe vera to their products. That’s probably the most significant difference. However, I don’t like the fact that MLM-systems are always putting some extra on their prices. Click the Picture to Get Started. How To Get Started with Forever Living? After seeing everything Forever Living has to offer, you may be wondering how you can start selling and making money. The first thing you’re going to have to do is go to the website and apply to be a distributor. Before you can even see how much you will have to invest, you have to actually sign up. Once you do you will be given an ID and temporary password. “Be your own boss”, is the phrase that MLM-companies love to use. Once you login you will be able to buy your first kit. The cheapest is the Mini Touch of Forever. This is priced at $176.24. With that being said, you have to spend money before you can even begin to think about making money. While this is the cheapest kit, keep in mind that you want to have as many products with you so you can actually show people. This will end up having you spend more money. The cold fact is that only around 5% of Forever Living distributors succeed well. That’s 1 out of 20. Take 19 of your friends and you. All of you join Forever Living but according to statistics only one of you will be successful. I think it tells something about the system. But, of course, you can beat the statistics. I believe that anyone can learn to build a successful business even without any prior knowledge. I just doubt if Forever Living is the right place to start. The next thing you are probably concerned with is what your compensation will be. After all, you don’t want to do all kinds of work and put a lot of money if you aren’t going to be able to get compensated well. The way your compensation is measured is by something called case credits. Each product is assigned a certain amount of case credits. These case credits will add up and they will be what determines everything. Every distributor will have a monthly goal. There are 4 different ways that you can reach it. Those methods are explained below. This is the orders your personally put in, whether it be for yourself or to just have extra products on hand. It can also be from people who order products through you. Did you know an interesting fact that MLM-companies earn a big part of their revenue from purchases of their own distributors? They look at the goal at the end of the month. If they didn’t meet it, they are basically forced to buy products to meet the goal. These are the orders from people in your downline. They can be for products for their personal use or for products they want to make sure they have to show others. It also counts when people order products through your distributors. This is when customers use your name but order products right from the website and the company ships the products to them. Notice, that you can promote Forever Living products also online. You don’t need to go to the street to meet people if that doesn’t feel good. You can learn here how you can sell your products online for thousands of people without ever even meeting them. Wholesale customers get a 15% discount. This is when customers use your name and order through the website and then the company will ship them their order. The only difference is that they buy bigger quantities. One great thing is that you can combine all of these ways and meet your goal faster. Remember, if you don’t meet your goal then you can’t get any volume bonuses. Here is a video that will explain the compensation plan more thoroughly. Notice that the video is created by Forever Living staff and it contains promotional material. I added it here just for educational purposes because I am not promoting their system. In addition to the compensation, there are some added bonuses. We will look at those below. NOTE: If you are not so interested in the Forever Living compensation plan, you can skip this chapter. The great thing about Forever Living and other MLMs is that you can earn passive income unlike in a typical 9 to 5 job. You can get additional compensation to save for your dream car, boat, or motorcycle. The way this works is you have to get a certain number of case credits, or more, each month for 3 consecutive months. You will move up in the ranks. Once you become an Eagle Manager not only will you be able to go to the yearly retreat, but you will get bigger bonuses, more money, a larger team, and recognition. The way you qualify is by making at 720 case credits, with at least 100 of those coming from your new personal downlines, personally sponsoring and developing 2 new downlines, and being active every month. The qualification period runs from May 1 to April 30th. With this bonus, you will get to travel and be one of the people to represent the company. You can travel to over 150 countries. The way you qualify for this is by being active every month. The more case credits you sell the more spending money, accommodation nights, and activity money you will get. The qualification period is January 1st through December 31st. With this bonus, the company pays back a percentage of its annual revenue to the top people. To qualify, you have to be level at 1, 2, or 3. You also have to be active every month and qualify at least 1 month for the Forever2Drive bonus. With this bonus, you will be able to present new ideas and concepts, will be recognized worldwide, travel all over, and make more money. The way to qualify for this is by being active every month and earning AT LEAST 7.500 case credits. The more you earn, the more bonuses you get. Conclusion – Is Forever Living a Pyramid Scheme? Forever Living is not an illegal pyramid scheme. They are an honest company that has been around already for ~40 years. That’s a huge time when we consider that most businesses fail during their first 1-5 years. Forever Living has good products but they are charging some extra because it’s an MLM-system. When you buy their products you “belong to the team” and you pay for the feeling you get. You don’t pay only for the product but also for the brand. Then if you are a salesperson (distributor) of Forever Living, you need to be hard-working and persistent to succeed. Nothing will come for free so you shouldn’t wait for quick victories. You can make a living by selling their products but I don’t want to commit myself to their system. I would rather sell products that have a better price/quality ratio. Whether you join Forever Living or not, I recommend taking a closer look at Wealthy Affiliate. They will help you step-by-step to sell any products online for a huge audience. You can apply the skills you’ll learn there with MLM-systems or in other business models. Wealthy Affiliate is not an MLM because they teach affiliate marketing. 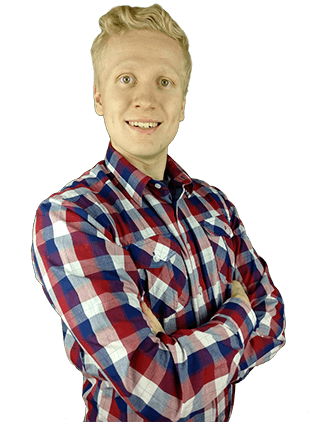 You will learn to connect with hundreds, and thousands of people online every day even without any prior knowledge or experience. Selling and promoting products online is probably easier than in the street and you can reach a much bigger number of people. 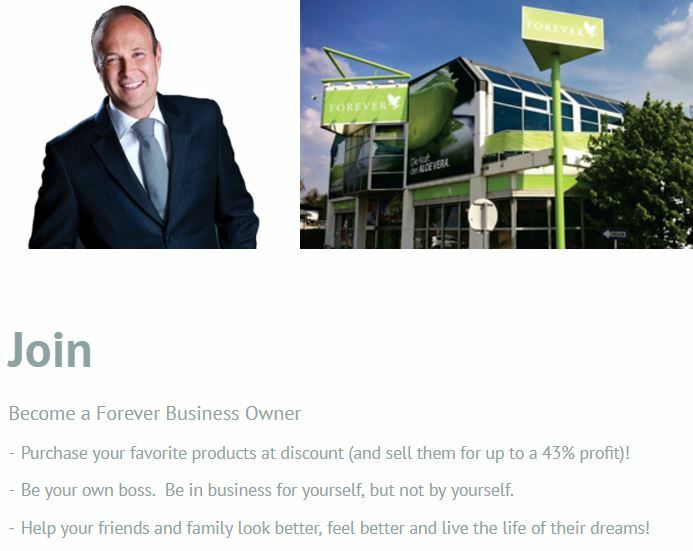 What do you think about Forever Living as a business opportunity? Would you like to sell their products or do you prefer other ways to earn money? Let’s have a conversation in the comments below. I’ll answer to all of your questions and comments personally. You get to work on groundbreaking projects.